Following a seven-year stint in political and regulatory purgatory, the Keystone XL project finally met its end last week when President Obama, eyeing the upcoming U.N. climate talks in Paris, formally rejected TransCanada’s request to build the cross-border oil pipeline. 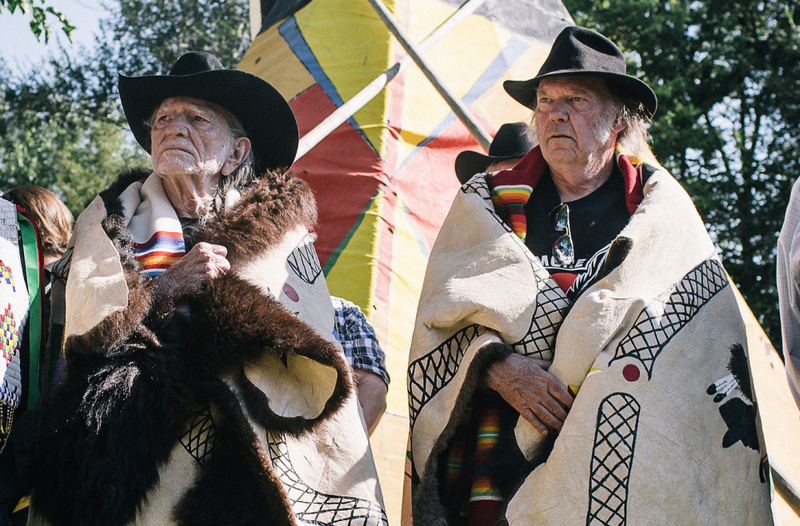 Climate activists [with help from two longtime progressive American artists/musicians who didn’t really need the exposure – Neil Young and Willie Nelson and who also opposed the plan] are celebrating their victory and already attempting to parlay the momentum into more wins. Proponents of the pipeline — a group that at this point consists mainly of Republicans and Republican presidential candidates, energy-industry lobbyists, and some labor unions who were looking forward to tens of thousands of temporary construction jobs — are decrying Obama’s decision and writing the whole thing off as a hallmark of irresponsible political capitulation…. [T]he Keystone rallying cry [has] quickly spread to protests against other fossil-fuel projects. One industry executive summed it up nicely this spring, when he told a conference of his peers that they had to figure out how to stop the “Keystone-ization” of all their plans. … [And] this fall, the governor of the Bank of England, Mark Carney, speaking to members of the insurance industry at Lloyds of London, used [“leave it in the ground“] language to tell them that they faced a “huge risk” from “unburnable carbon” that would become “stranded assets.” No one’s argued with the math, and that math indicates that the business plans of the fossil-fuel giants are no longer sane. Word is spreading: portfolios and endowments worth a total of $2.6 trillion in assets have begun to divest from fossil fuels. The smart money is heading elsewhere. The nearly 1,200-mile (2,000-km) pipeline would carry 830,000 barrels a day of mostly Canadian oil sands crude to Nebraska en route to refineries and ports along the U.S. Gulf Coast. Read more at Reutershttp://www.reuters.com/article/2015/11/05/us-transcanada-keystone-state-idUSKCN0ST2VX20151105#PXYjkPeuAjeDlY1G.99However, Enbridge Company pipeline projects permitted by Wisconsin Governor Scott Walker’s Department of Natural Resources, are planning on pumping 1.2 million barrels of tar sands crude across Wisconsin for processing into gasoline, diesel fuel and jet fuel, soon, and are planning on pumping another 600 million barrels of tar sands crude oil through a second parallel pipe from Alberta to Illinois in the not too distant future. Burning that much fuel will certainly add to the planet’s global warming troubles, probably sooner than most of us earthlings burning all those fossil fuels had anticipated.